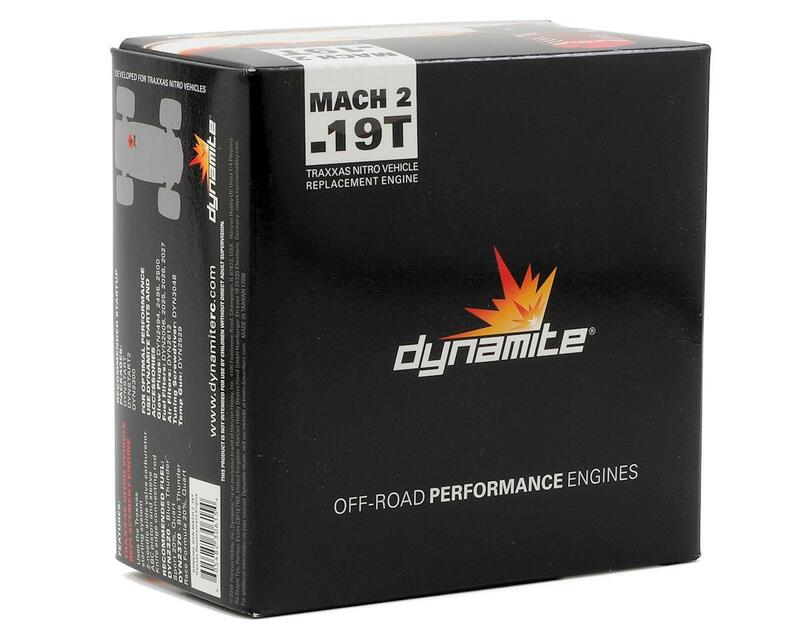 Dynamite’s Mach 2 .19T Traxxas Replacement Engine is the perfect compliment for any Traxxas nitro vehicle in need of a new power plant. 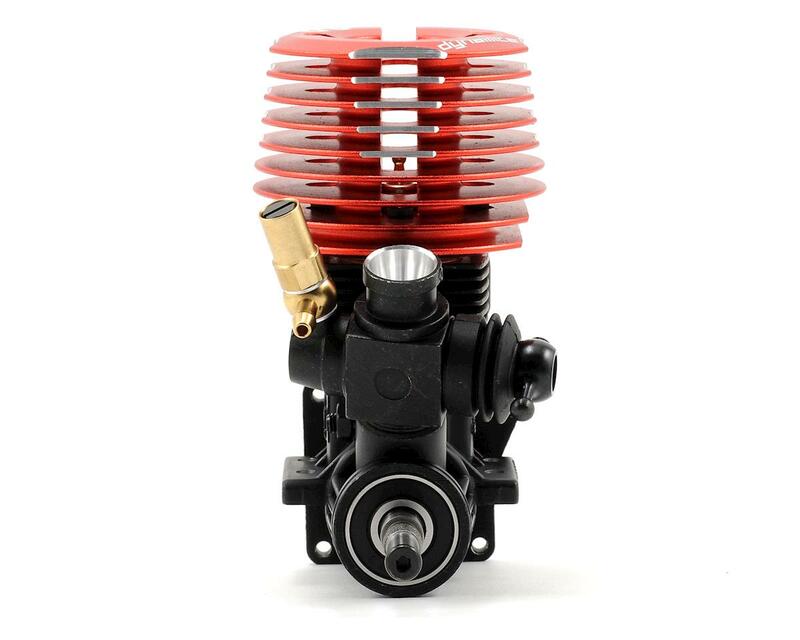 With no modifications needed for installation, this direct drop-in replacement engine will push your Traxxas nitro vehicle to its limits and beyond! 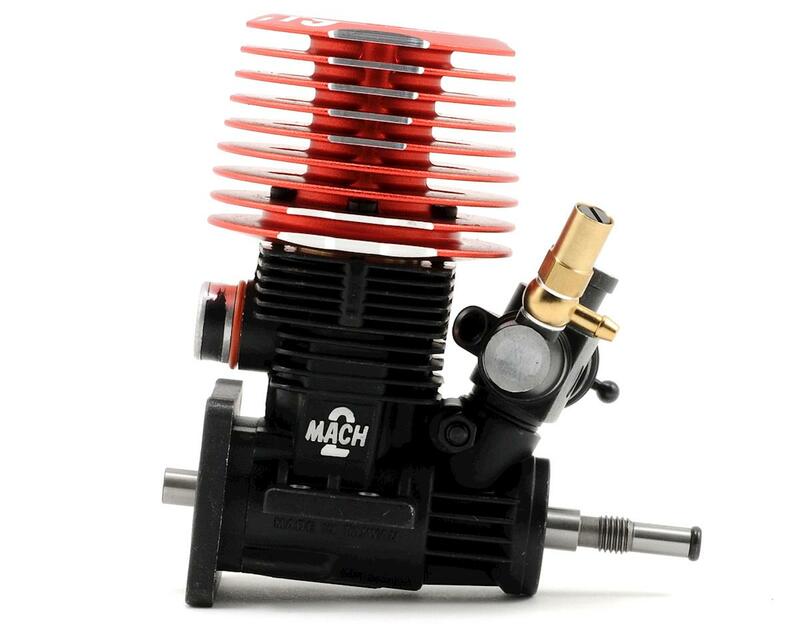 With features that include a 2 needle slide valve carburetor, ABC piston and sleeve along with knife edge connecting rod for higher RPM’s and less internal turbulence, Dynamite’s Mach 2 .19T Traxxas Replacement engine is the perfect compliment to all Traxxas nitro vehicle platforms. 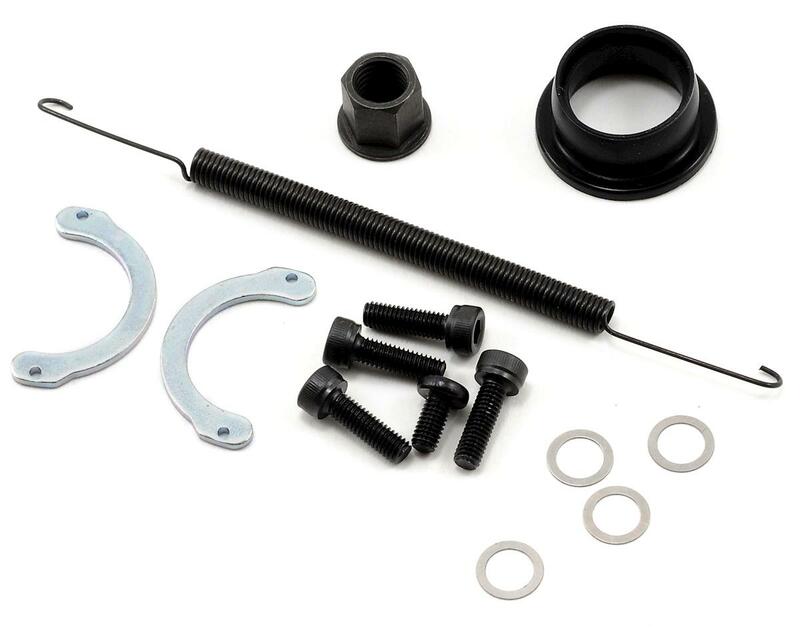 Works with all Traxxas nitro vehicles (that use the TRA EZ-Start System) including; T-Max 3.3 monster truck, Jato 3.3 stadium truck, nitro Rustler, nitro Slayer, nitro Stampede in addition to all other Traxxas nitro vehicles. Ok, after running a gallon through engine, i have run into a serious problem which has dissapointed me alot. The bearings are garbage! The rear bearing tore itself apart and destroyed half my engine and the front bearing leaks like crazy. I never encountered an airleak due to the front bearing but i'm pretty sure if the rear bearing hadn't died and i kept on running the engine, it would have happened. At the end of the day, i had to spend 100 bucks to replace both bearings with better ones, (ceramic bearings are recommened) the piston, sleeve, and underhead. Thanks Dynamite. But, apart from that problem, this engine is fantastic. Once the engine hits the first gallon it runs like a champ. It's got power, speed, economy, rock-solid reliablity and it's a piece of cake to tune. If you get this engine, replace the bearings with ceramic ones before you start it for the first time. 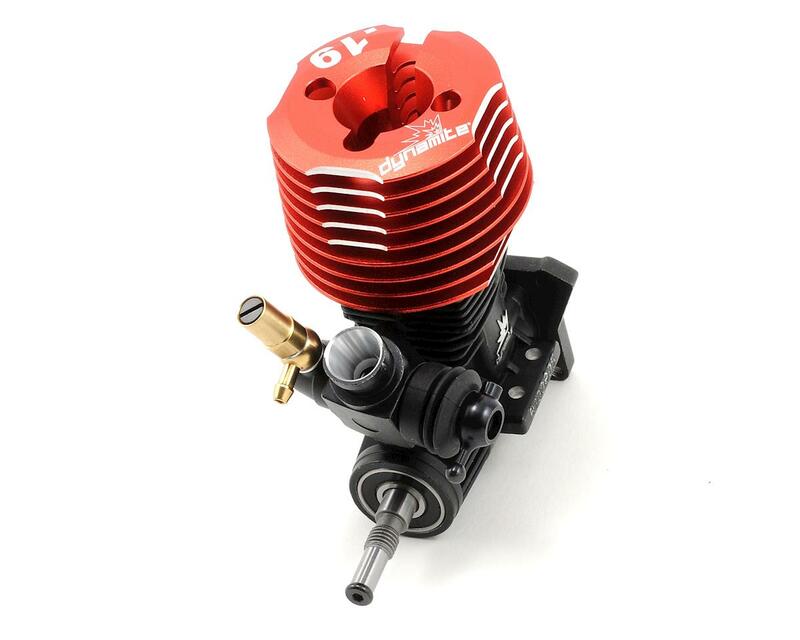 It might be a little bit expensive but you'll thank yourself because you'll have so much fun with this engine for a long time. Very nice engine for the price. Bought this once my 3.3 went bad. Doesn't have as much top end as the 3.3 but only by a little. Great bottom end. Lots of torque. 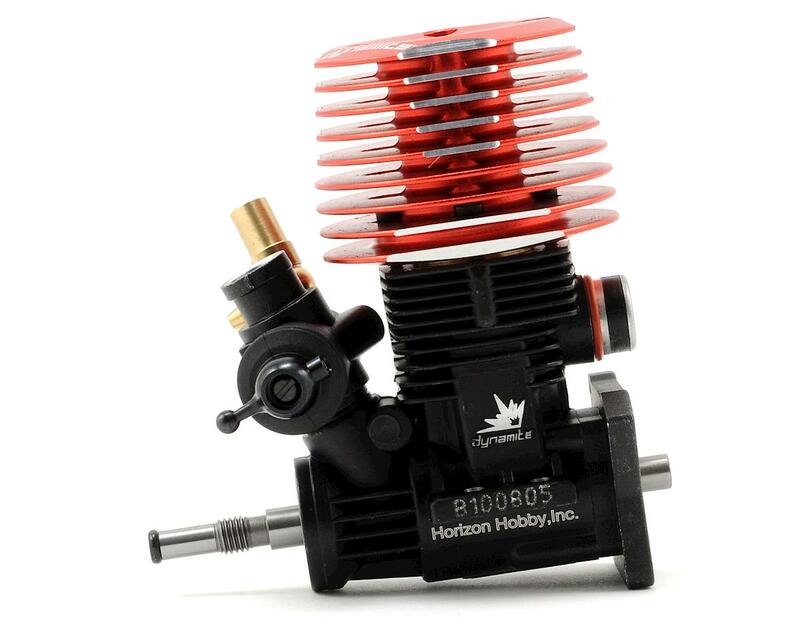 I wouldn't recommend it in a tmaxx or a revo, but for a jato or rustler anything small its great.